Tenants in more than a dozen Baltimore-area rental complexes complain about a property owner who they say leaves their homes in disrepair, humiliates late-paying renters and often sues them when they try to move out. Few of them know that their landlord is the president’s son-in-law. By Alec MacGillis, ProPublica, May 23, 2017, 5 a.m. This story was co-published with The New York Times Magazine. The Townhouse on High Seas Court in the Cove Village development, in the Baltimore suburb of Essex, was not exactly the Cape Cod retreat that its address implied: It was a small unit looking onto a parking lot, the windows of its two bedrooms so high and narrow that a child would have had to stand on a chair to see out of them. 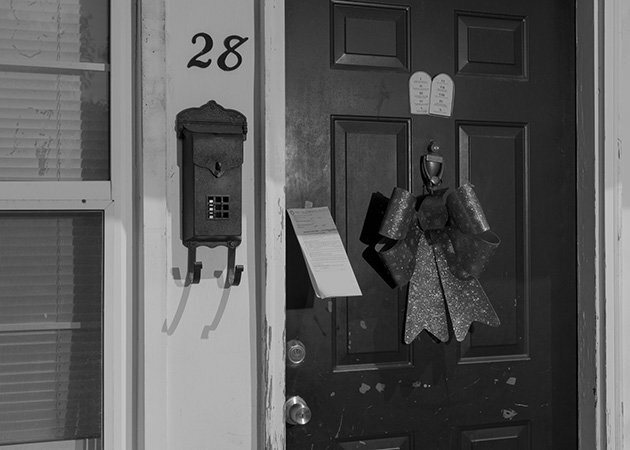 But to Kamiia Warren, who moved into the townhouse in 2004, it was a refuge, and a far cry from the East Baltimore neighborhood where she grew up. “I mean, there were bunny rabbits all hopping around,” she told me recently. In the townhouse next door lived an older woman with whom Warren became friendly, even doing her grocery shopping once in a while. But over the course of a few months, the woman started acting strangely. She began accosting Warren’s visitors. She shouted through the walls during the day. And at night she banged on the wall, right where Warren kept the bassinet in which her third child slept, waking him up. So Warren was startled in January 2013, three years later, when she received a summons from a private process server informing her that she was being sued for $3,014.08 by the owner of Cove Village. The lawsuit, filed in Maryland District Court, was doubly bewildering. It claimed she owed the money for having left in advance of her lease’s expiration, though she had received written permission to leave. And the company suing her was not Sawyer, but one whose name she didn’t recognize: JK2 Westminster LLC. Warren was raising three children alone while taking classes for a bachelor’s degree in health care administration, and she disregarded the summons at first. But JK2 Westminster’s lawyers persisted; two more summonses followed. In April 2014, she appeared without a lawyer at a district court hearing. She told the judge about the approval for her move, but she did not have a copy of the form the manager had signed. The judge ruled against Warren, awarding JK2 Westminster the full sum it was seeking, plus court costs, attorney’s fees and interest that brought the judgment to nearly $5,000. There was no way Warren, who was working as a home health aide, was going to be able to pay such a sum. “I was so desperate,” she said. When Americans were introduced last year to Ivanka Trump’s husband and the nation’s prospective son-in-law in chief, it was as the preternaturally poised, Harvard-educated scion of a real-estate empire whose glittering ambitions resembled Donald Trump’s own. In 2007, Kushner Companies, run at the time by Jared and his father, Charles, bought the aluminum-clad skyscraper at 666 Fifth Avenue for a record-breaking $1.8 billion; they are now seeking partners for a $12 billion plan to replace it with a glass tower that would be 40 stories taller. In 2013 they acquired 17 buildings in Manhattan’s East Village for about $130 million, and three years later they spent $715 million on a cluster of buildings owned by the Jehovah’s Witnesses on prime land in Brooklyn’s fast-developing Dumbo district. But the Kushners’ empire, like Trump’s, was underwritten by years of dealing in much more modestly ambitioned properties. Jared’s grandfather Joseph Kushner, a Holocaust survivor from Belarus, over his lifetime built a small construction company in New Jersey into a real-estate venture that owned and managed some 4,000 low-rise units concentrated in the suburbs of Newark. After taking over the business, Charles expanded Kushner Companies’ holdings to commercial and industrial spaces, but the company’s bread and butter remained the North Jersey apartment complexes bequeathed to him by his father. In the mid-2000s, the company began to sell off the more than 25,000 multifamily rental units it owned, culminating in a 2007 sale of nearly 17,000 units for $1.9 billion. The sale — near the peak of the housing boom, just months before the crash — was impeccably timed, but it also reflected a shift in the attentions of what would soon be a three-generation real-estate dynasty. Charles, a major Democratic Party donor, had returned late the previous year from a brief stint in federal prison after pleading guilty to 18 counts of tax evasion, witness tampering and illegal campaign donations. Back at the helm of the company, he began to shift its focus from New Jersey to New York City — and prepared to pass the reins to his son Jared, who had just received a degree in law and business from New York University. But amid the high-profile Manhattan and Brooklyn purchases, in 2011, Kushner Companies, with Jared now more firmly in command, pulled together a deal that looked much more like something from the firm’s humble past than from its high-rolling present. That June, the company and its equity partners bought 4,681 units of what are known in real-estate jargon as “distress-ridden, Class B” apartment complexes: units whose prices fell somewhere in the middle of the market, typically of a certain age and wear, whose owners were in financial difficulty. The properties were spread across 12 sites in Toledo, Ohio; Pittsburgh; and other Rust Belt cities still reeling from the Great Recession. Kushner had to settle more than 200 debts held against the complexes before the deal could go through; at one complex, in Pittsburgh, circumstances had become so dire that some residents had been left without heat and power because the previous owner couldn’t pay the bills. Prudential, which was foreclosing on the portfolio, sold it for only $72 million — half the value of the mortgages on the properties. In the following months, Kushner Companies bought another 1,700 multifamily units in similar markets, according to the trade publication Multifamily Executive. Unlike the company’s big New York investments, the complexes were not acquired with an eye toward appreciation — these were not growing markets, after all — but toward producing a steady cash flow. “Our goal is to keep buying and incrementally growing — they’re good markets where you can get yield,” Jared Kushner told Multifamily Executive in October 2011, predicting that the net income for the year’s purchases would be $14 million within a year. The complexes buttressed the Kushner portfolio in another way, he said: They would serve as a hedge against an upswing in inflation he believed was looming on the horizon. A year later, in August 2012, a Kushner-led investment group bought 5,500 multifamily units in the Baltimore area with $371 million in financing from Freddie Mac, the government-backed mortgage lender — another considerable bargain. Two years later, Kushner Companies picked up three more complexes in the Baltimore area for $37.9 million. Today, Westminster Management, Kushner Companies’ property-management arm, lists 34 complexes under its control in Maryland, Ohio and New Jersey, with a total of close to 20,000 units. 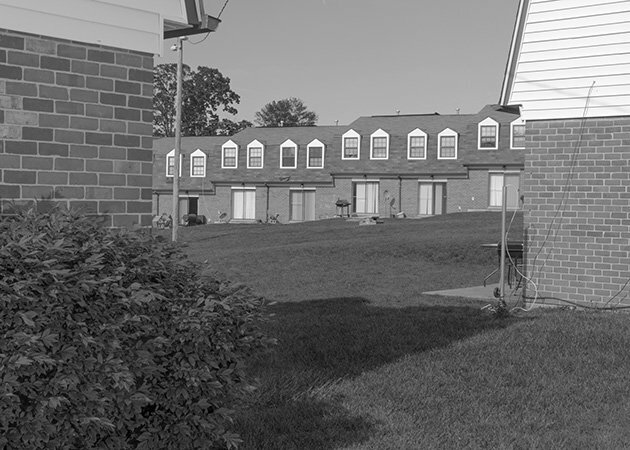 Kushner’s largest concentration of multifamily units is in the Baltimore area, where the company controls 15 complexes in all — which, if you assume three residents per unit, could be home to more than 20,000 people. All but two of the complexes are in suburban Baltimore County, but they are only “suburban” in the most literal sense. They sit along arterial shopping strips or highways, yet they are easy to miss — the Highland Village complex, for example, is beside the Baltimore-Washington Parkway, but the tall sound barriers dividing it from the six-lane highway render its more than 1,000 units invisible to the thousands traveling that route every day. 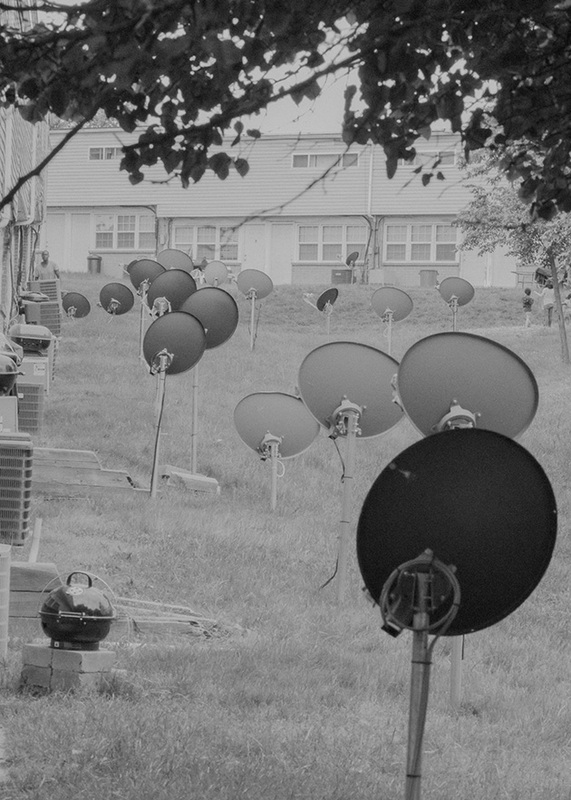 The complexes date mostly from the 1960s and ’70s, when white flight from the city was creating a huge demand for affordable housing in Baltimore County. They were meant to exude middle-class respectability — unglamorous but safe and pleasant enough, a renter’s Levittown. Since then, however, they have slipped socioeconomically, along with the middle class itself, into the vast gray area of the modern precariat — home to casino workers, distribution-warehouse pickers, Uber drivers, students at for-profit colleges. 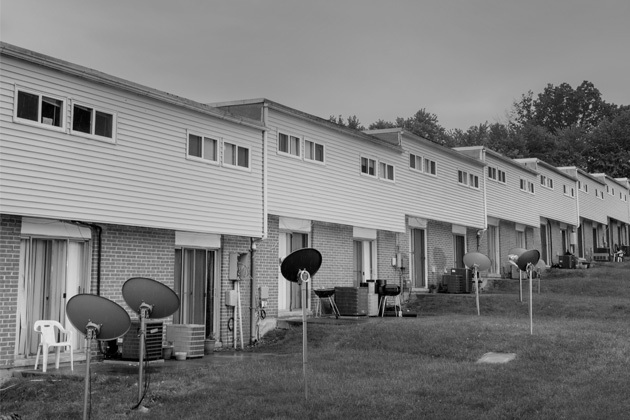 Although most of the tenants I met in a series of recent visits to the complexes pay their own rent, ranging from about $800 to $1,300, some of them receive Section 8 assistance, as Kamiia Warren did; Baltimore County has no public housing for a population of more than 825,000, so these and similar complexes have become the de facto substitute. A search for “JK2 Westminster” in the database of Maryland’s District Court system brings back 548 cases in which it is the plaintiff — and that does not include hundreds of other cases that have been filed in the name of the company’s individual complexes. The vast majority of these cases have been filed by a single small law firm in the Baltimore suburb of Owings Mills. The law office of Jeffrey Tapper specializes in “collections” work, with an emphasis on landlord-tenant cases. It has represented several other real-estate management companies, including Sawyer, which retains a stake in many of the Kushner complexes. In the cases that Tapper has brought to court on behalf of JK2 Westminster and individual Kushner-controlled companies, there is a clear pattern of Kushner Companies’ pursuing tenants over virtually any unpaid rent or broken lease — even in the numerous cases where the facts appear to be on the tenants’ side. Not only does the company file cases against them, it pursues the cases for as long as it takes to collect from the overmatched defendants — often several years. The court docket of JK2 Westminster’s case against Warren, for instance, spans more than three years and 112 actions — for a sum that amounts to maybe two days’ worth of billings for the average corporate law firm associate, from a woman who never even rented from JK2 Westminster. The pursuit is all the more remarkable given how transient the company’s prey tends to be. Hounding former tenants for money means paying to send out process servers who often report back that they were unable to locate the target. This does not deter Kushner Companies’ lawyers. They send the servers back out again a few months later. That February, Lennettea filed a written court notice explaining that her mother, who was dying of pancreatic cancer, was “in terminal hospice care and is not eligible to work.” She added by way of supporting evidence a letter from the hospice provider to Joan Beverly’s bank, explaining her and her husband’s late mortgage payments on their home: “There has been added financial stress because Mrs. Beverly is very ill at this time.” But JK2 Westminster persisted in seeking a hearing on the suit. In March, a district court judge found in favor of the company — a total judgment against Joan of more than $5,500. Joan died two weeks later. Her husband, Tyrone Beverly, a retired longshoreman, requested that the judgment against his deceased wife be removed but was denied. The case remains open in the court database. Tyrone, who was married to Joan for 32 years, told me that he had assumed the judgment had been dismissed and was unaware that it was still listed as awaiting payment. “They just didn’t treat us fair,” he said. The sweeping nature of the company’s pursuit of tenants was most evident when those tenants were, in fact, prepared to defend themselves. 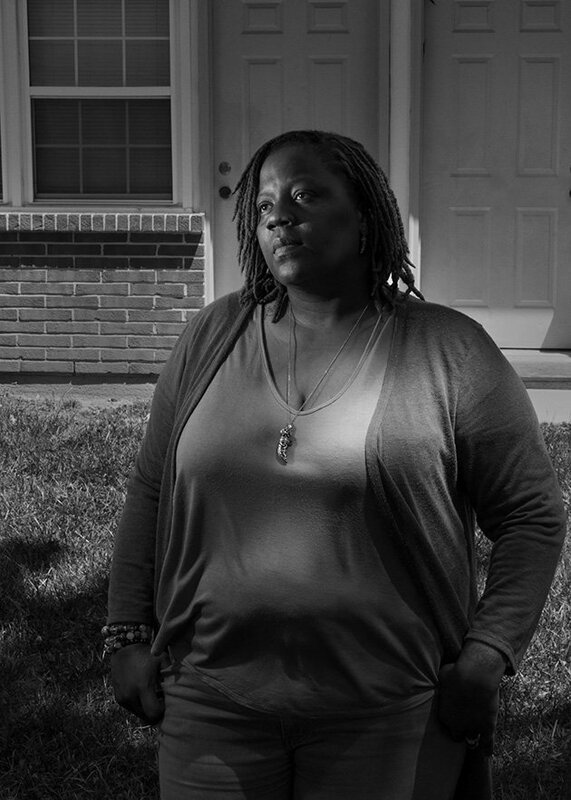 Shawanda Hough moved out of her unit in the Carriage Hill complex in the northwestern Baltimore suburb of Randallstown in early 2012 after black mold worsened her son’s asthma, landing him in the hospital twice. After the maintenance crew tried and failed to fix the problem, she got the rental office’s written permission to move out in advance of her lease. But then Kushner Companies bought Carriage Hill, and a year and a half later, in August 2013, JK2 Westminster filed a lawsuit against Hough, seeking $4,068.53. Hough fought back. In a court filing, she said that she had kept all of her documentation, and that the company had assured her that it had not lost a dime in rent; she had gone so far as to coordinate the time of her departure with the arrival of a new tenant. JK2 Westminster went ahead with a hearing before a judge a month later, but the judge ultimately found for Hough. Cases like Hough’s, however, were the exception rather than the rule. Overall, about nine out of every 10 cases brought by JK2 Westminster that I surveyed resulted in judgments against the defendants, who often did not appear in person for the hearings — and if they did, almost never had legal representation. How could it possibly be worth Kushner Companies’ while to pursue hundreds of people so aggressively over a few thousand dollars here and there? After all, the pursuit itself cost money. And it wasn’t happening just in Baltimore — Doug Wilkins, a lawyer in Toledo who has represented some of the complexes bought there by Kushner, told me the company is seeking far more monetary judgments than did previous owners. But Matthew Hertz, whose Bethesda, Maryland, firm represents landlords and tenants in similar cases, explained to me that there is a logic behind such aggressive tactics. The costs of the pursuit are not as high as you might imagine, he said — people are not that hard to find in the age of cellphones and easily accessible databases. “If I give my process server a name and phone number, it’s generally enough to trace you,” he said. “If I have a date of birth and Social Security number, it’s even easier.” The legal costs can be billed to the defendant as attorney’s fees, if the terms of the lease allow. And garnishing wages is relatively easy to do by court order, assuming the defendant has wages to garnish. When Kushner Companies finally responded to my questions about the cases, they essentially affirmed Hertz’s reasoning. As manager for the Baltimore complexes, the company had a “fiduciary obligation” to its ownership partners to collect as much revenue as it could, said Kushner Companies’ chief financial officer, Jennifer McLean, in a written response. She said the company’s legal costs have been “minimal” compared with what it seeks to recover. The Highland Village complex, along the Baltimore-Washington Parkway, is one of Kushner Companies’ largest, a vast maze of lanes and courts lined with rows of short brick-and-siding-fronted homes. Like the other Kushner complexes I visited in Baltimore’s southern and eastern suburbs, it is situated in what was once a predominantly white working-class community, within reasonable commuting distance of the harbor and industrial plants, now defunct, like Bethlehem Steel. In recent decades, many black transplants from the city and Hispanic immigrants have arrived as well, and Highland Village is an unusually integrated place. The complex, like the others I saw, seemed designed to preclude neighborliness — most of the townhouses lack even the barest stoop to sit out on, and at least one complex has signs forbidding ball-playing (“violators will be prosecuted”). At another complex, kids had drawn a rectangle on the side of a storage shed in lieu of a hoop for their basketball game. The only meeting points at many of the complexes are the metal mailbox stands, the dumpsters and the laundry room. And the only thing that united many of the residents I spoke to, it seemed, was resentment of their landlord. They complained about Westminster Management’s aggressive rent-collection practices, which many told me exceeded what they had experienced under the previous owners. Rent is marked officially late, they said, if it arrives after 4:30 p.m. on the fifth day of the month. But Westminster recently made paying the rent much more of a challenge. Last fall, it sent notice to residents saying that they could no longer pay by money order (on which many residents, who lack checking accounts, had relied) at the complex’s rental office and would instead need to go to a Walmart or Ace Cash Express and use an assigned “WIPS card” — a plastic card linked to the resident’s account — to pay their rent there. That method carries a $3.50 fee for every payment, and getting to the Walmart or Ace is difficult for the many residents without cars. Compounding these grievances was Westminster’s maintenance of the properties — or lack thereof. Their complexes comprise hundreds of units, but typically have only four or so workers looking after them. Alishia Jamesson, a 30-year-old Highland Village resident, invited me into the small living room of the $842-a-month townhouse she and her fiancé share with her two children. The room was cluttered with bags from Walmart and Dollar Tree, ketchup packets and supplies for the work Jamesson took up after she lost her cashier’s job at Walmart for missing too many shifts for parenting duties: making personalized tote bags and gift baskets for weddings. Jamesson showed me three large holes in the walls of the townhouse, which Westminster charged her and her fiancé, Keith Riggs, $150 to fix in October but had not yet repaired. “Every time I ask about drywall they say, ‘Oh, well, we only have one drywall person,’” Riggs told me. There was also black mold spreading around the bathtub, a large brown stain and crack on the wall adjacent to the stove and a gap in the bathroom skylight that allowed in rain and snow. Jamesson told me that the refrigerator hadn’t worked for more than a month before being replaced; her family had lived on canned food and boxed milk. Complaints about poor upkeep abounded at the other complexes too. At Highland Village, there was the matter of the vacant unit that burned down one night a couple of months ago: Its shell was still standing, attended by nothing but plywood and a tarp. At Essex Park, east of the city, Marquita Parmely, the truck driver, told me she had a mouse infestation that was severe enough that her 12-year-old daughter recently found one in her bed. Parmely also has a 2-year-old with asthma, which is aggravated by allergens in mice droppings. She moved her own bed and other furniture away from the walls to dissuade mice, kept the family’s laundry in tote bags after mice started appearing in the hamper and vacuumed twice a day. Her neighbor told me it took weeks for staff members to replace a rear window that had been shot out by kids with a BB gun. At the Carroll Park complex in Middle River, Maryland, Jen Jackson showed me a ceiling leak that was causing a mold problem. At the Whispering Woods townhouses nearby, a resident named Nicole, who asked that I not use her last name, told me she had filed unheeded complaints about loose plastic shutters, one of which finally fell off and hit her in the head. (When I visited Nicole again a few weeks later, she told me that Westminster staff had scolded her for speaking with me and told her not to do so again. A large black pickup followed me and a photographer as we walked through the complex until we left.) In the same complex, Renee Cook showed me the large swath of her downstairs ceiling that had collapsed and the mold and mildew beneath the carpet, each resulting from a leak from her neighbor’s (illicit) washer-dryer. Asked about such conditions, Kushner Companies said it follows industry standards for maintenance staffing and exterminator visits, and that it and its partners had spent $10 million on upgrades across the complexes. “Despite those improvements, issues still arise, given the age of the properties,” said McLean, the chief financial officer. Shortly after I put questions to the company about specific tenants’ complaints, Cook’s ceiling was repaired. Cox stopped cooking for herself and her son, not wanting food near the sink. A judge allowed her reduced rent for one month. When she moved out soon afterward, Westminster Management sent her a $600 invoice for a new carpet and other repairs. Cox, who is now working as a battery-test engineer and about to buy her first home, was unaware who was behind the company that had put her through such an ordeal. When I told her of Kushner’s involvement, there was a silence as she took it in. “Get that [expletive] out of here,” she said. Jackson said he voted for Hillary Clinton in 2016. Many of the others I spoke with had not voted — in that or any other election. “I’m not a big political person, so I feel like I don’t think I should vote on something I know nothing about,” Alishia Jamesson told me. But eastern Baltimore County was a Trump stronghold, a formerly staunch Democratic territory with many downwardly mobile white voters — and Kushner’s complexes were no exception. Jared Kushner stepped down as chief executive of Kushner Companies in January. But he remains a stakeholder in the company — his share of company-related trusts is estimated to be worth at least $600 million — and the company says it has no intention of selling off its multifamily holdings. (JK2 Westminster was formally dissolved in December, but Kushner Companies still owns the complexes through other entities; lawsuits against tenants are now typically filed in the names of the complexes themselves.) Because Kushner retains his interest in the complexes, the White House told The Baltimore Sun in February that he would recuse himself from any policy decisions about Section 8 funding, as many of his tenants rely on it for their rent. But even as Kushner now busies himself with his ever-expanding White House portfolio, his company is carrying on its vigorous efforts in court. On April 17, three cases were being held consecutively in Baltimore’s District Court involving tenants of the Dutch Village complex. One was against Catherine Silver, a Morgan State University student who had given notice that she was moving at the end of March — she was fed up with lousy maintenance (among other things, a perpetually clogged toilet and a ceiling leak in her closet). But when Silver went to Walmart to pay her March rent with her WIPS card, the money mistakenly ended up not in the account for Dutch Village but the one for Kushner Companies’ adjacent complex, Pleasantview. Westminster Management started eviction proceedings. On March 23, a sheriff’s deputy changed the locks on the unit. Silver was traveling at the time — it was spring break — and it was not until March 31 that she was able to explain to a judge what happened and get her keys back. By that point, it was too late to get her possessions into the moving truck she’d rented, and classes had resumed. She stayed in the unit, in which Westminster had turned off the heat and hot water, trying again to plan her departure. But Westminster was now after her for April’s rent, despite the fact that the company had literally barred her from being able to move before April, as she had intended. On April 25, a judge ruled that she needed to pay half of April’s rent, plus court costs: $471. Westminster had a lawyer from Tapper’s firm, Andrew Rabinowitz, at the April 25 hearing, which lasted more than three hours — all over less than $500. The next day Rabinowitz was back to defend Westminster against Silver’s criminal complaint over the unfounded eviction. This time, he was more accommodating, perhaps because he realized a reporter was present. After conferring with Dutch Village’s property manager, who was also in attendance, Rabinowitz agreed to let Silver have until the end of May to move out, rent-free, as long as she paid for April. Silver asked if she could have her hot water turned back on. He said he would look into it. But when I visited Silver two weeks later, the hot water was still off. The stove was covered with the pots she was using to boil water for bathing. On May 10 at the Highland Village complex, a woman was distributing the yellow “failure to pay rent” notices filed with the District Court to tenants who were behind on their May rent. One went up on the door of a man who introduced himself to me as Tommy, a recently divorced house painter with two children, who was at that moment sitting in his pickup truck reading Psalm 91 to gird himself for a visit to traffic court. He said he didn’t know why he kept being hit with late fees and court fees at Highland Village because he was up to date on the rent itself. Over at Carroll Park, Mike McHargue, the private investigator, had also received a yellow notice and was trying to find out when he needed to come up with money to avoid eviction. So was Chris Freimiller, the Rite Aid worker. He had missed a couple weeks of work with back pain related to a metal bar in his leg from an earlier car accident, and Westminster Management had moved quickly to file for eviction over $722.09 in missing rent, plus $66 in fees. When I arrived, Freimiller was sleeping on the couch after a night shift, and his wife, Jaclyn Meador, was trying to get an eviction date from the constable while their 11-year-old son, Ethan, looked on. One more yellow notice was affixed at the Highland Park home of Alishia Jamesson, the wedding-basket maker. Her fiancé had left his job as a casino housekeeper to take a job handling Amazon packages near the airport, but his first check hadn’t come through yet. Jamesson was working at Walmart again. The couple’s car tags had expired, so both were enduring long public transit commutes. No one had come from maintenance. There were still three holes in the wall. Alec MacGillis covers politics for ProPublica.